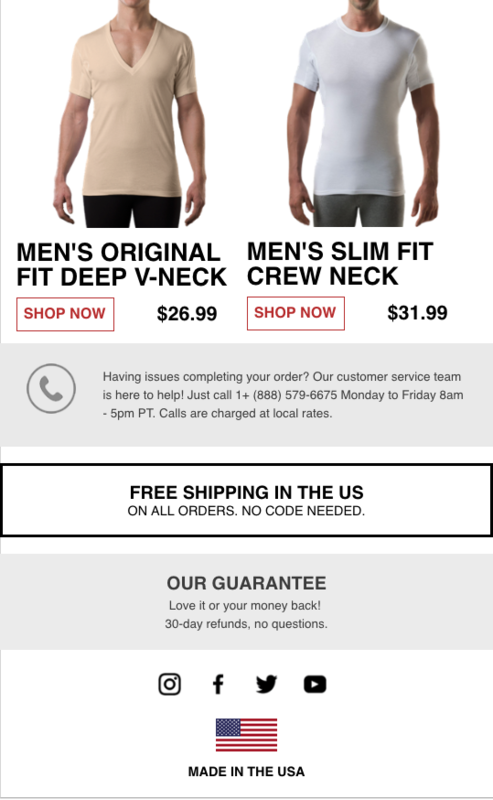 Here’s the thing most businesses get wrong about ecommerce email marketing. They forget about the individual. Most ecommerce companies take a one-for-all approach to email marketing, sending monthly email blasts en masse to every subscriber on their list. Companies also tend to get a little sloppy. Think unclear subject lines, poor email list hygiene (read: spammy), outdated designs, no personalization or branding and zero mobile optimization. It’s impersonal and ineffective. Email marketing delivers high ROI for businesses. One study found that every $1 spent on email marketing generated a $38 ROI. But your contacts aren’t just subscribers. You can’t send out a monthly newsletter and call it a day. They are real people, with real wants and needs, hunting for a solution. For Thompson Tee, it goes even deeper. Billy Thompson had suffered from hyperhidrosis, a medical condition that causes excessive, uncontrollable sweating, for his entire life. Tired of dealing with sweaty pits and not finding a long-term solution, he set out to create an affordable, effective solution to underarm sweat. He spent ten years perfecting different iterations of a sweat proof undershirt — enter the Thompson Tee. See the Thompson Tee in action on Shark Tank. 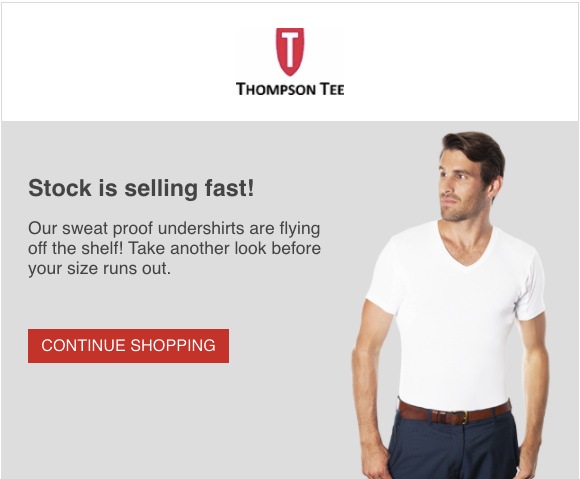 Before engaging with Human Marketing, Thompson Tee’s emails were sporadic. There was no cohesive strategy. Lead nurture workflows and ecommerce automation didn't exist. It wasn’t ineffective, but there was a lot of room for improvement. We were able to increase email revenue by 107% in a single year. 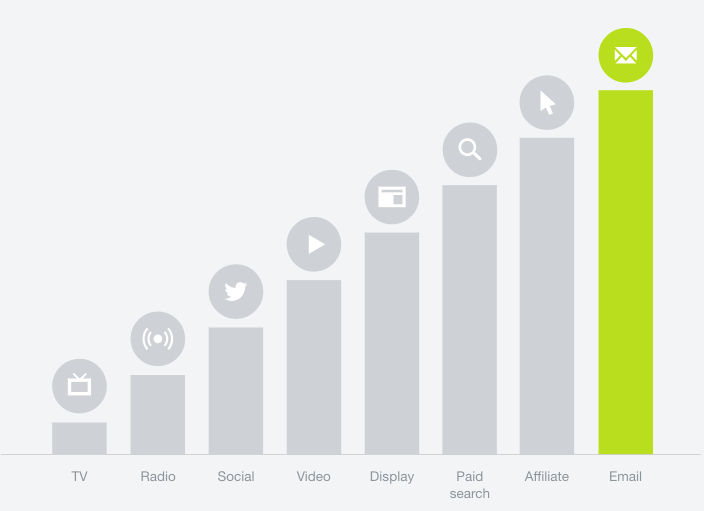 Frequency: Strategically increasing the number of touches with regular promotions, more emails and automation workflows. Relevancy: Creating valuable, high-quality content that spoke to Thompson Tee's audience to nurture leads into customers and grow their community. Testing: No resting on our laurels. We tested everything — subject lines, content and designs — to iterate and improve results. One thing to note. If you see this kind of year-over-year growth or crazy numbers from a company, they most likely significantly increased their email database. More contacts in your database mean more people to email. It’s nearly impossible to double your email marketing revenue without increasing the size of your list (in our case, it tripled). Building your email database should always be a top, ongoing priority. Through monthly promotions, newsletters and automation workflows, we helped Thompson Tee engage with its audience more often and stay top of mind. 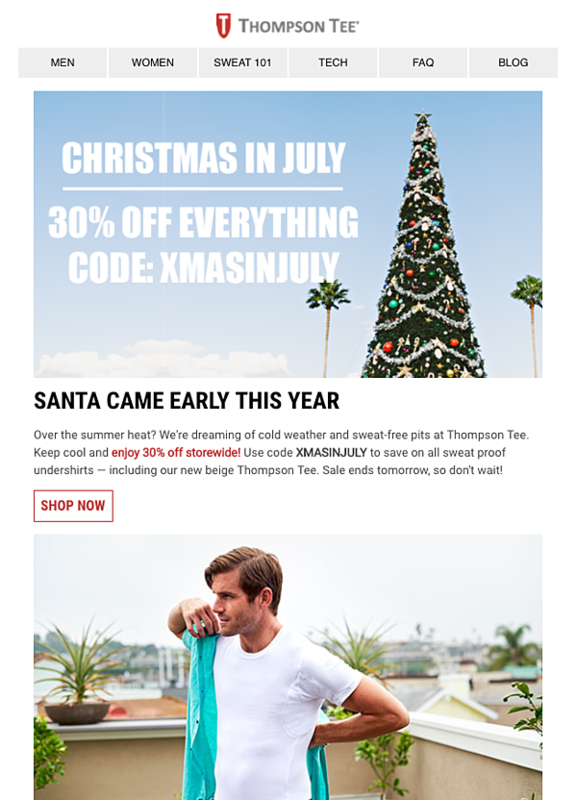 Thompson Tee previously ran sporadic ecommerce promotions (one every one to two months on calendar holidays). But no real planning went into the process. To start, we created a quarterly email marketing schedule with monthly newsletters and consistent monthly promotions. Download our email marketing calendar to up your ecommerce email game. Beyond scheduling more promotions, we also increased the number of emails sent per promotion. Instead of sending one to two emails, we sent five. For Black Friday and other major holidays, we sent daily emails for up to a week. Pro tip: How often you email your contacts depends on how you’ve primed your list. If you’re currently only sending a monthly newsletter, don’t start sending daily emails, or you risk annoying your audience and a high unsubscribe rate. Start slow to build their trust. Other than the holidays, the most popular promotions were the “Easter Mystery Discount” and “Christmas in July." We threw customers a curveball in July with a fun, quirky Christmas promotion. See how to execute a successful ecommerce promotion. In addition to monthly promotions, we also increased the number of touches with ecommerce automation workflows. New customer acquisition isn't the only way to increase revenue. Ecommerce automation workflows can help you convert more leads, get more repeat purchases and increase customer lifetime value. Awareness: The prospect has a problem (but needs more education) and only had limited exposure to your brand. Consideration: The person has defined his/her pain point and may have had multiple interactions with your brand. Decision: The prospect is evaluating potential solutions and more primed to purchase. Your list also largely consists of customers who already know and love your brand. So how do you craft a message to people with such different mindsets? 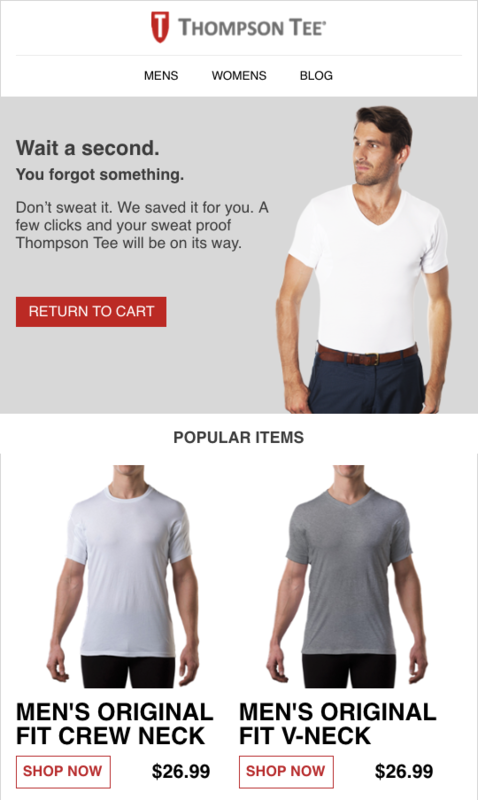 To start, we integrated Thompson Tee’s ecommerce software with Hubspot (if you’re still building your email database, MailChimp is a great place to start). Integrating their CRM and marketing automation gave us more insight into customer behavior so we could organize their data and set up ecommerce automation workflows. Here are a few of the ecommerce automation workflows we put in place and the results. Only 5 percent of website visitors add an item to their shopping cart on a website — that's a lot of missed revenue. We created a browse abandonment email workflow targeting all website visitors who went to the website but didn’t purchase anything. The average cart abandonment rate is just under 70 percent. Of shoppers who abandon their carts, 60 percent are just browsing or weren't ready to buy. We created a cart abandonment workflow to nudge interested buyers into making a purchase. Reorder workflows build the customer relationship and lifetime value, targeting customers who have already purchased. You’ll notice that Thompson Tee’s conversion rates are significantly higher than industry benchmarks. Frequency and relevance go hand-in-hand. You can’t send more emails if they’re not specific, valuable and relevant to your audience. 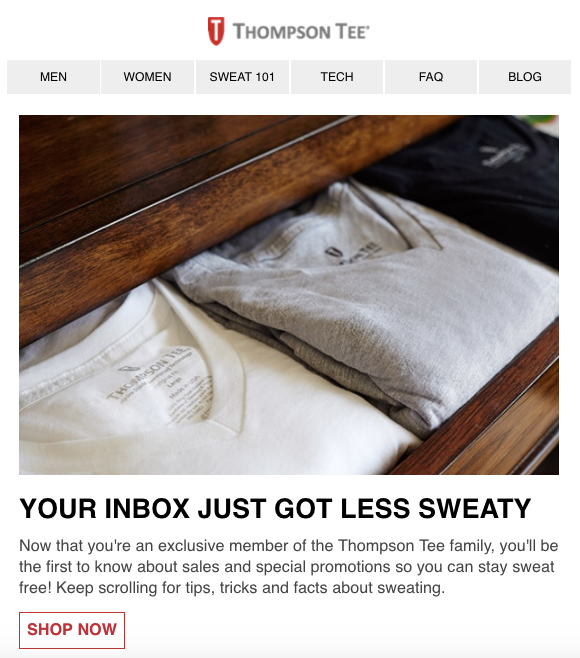 Thompson Tee's previous emails didn’t speak to its audience of people who sweat heavily. They were poorly designed, didn’t match the website and contained inconsistent messaging. 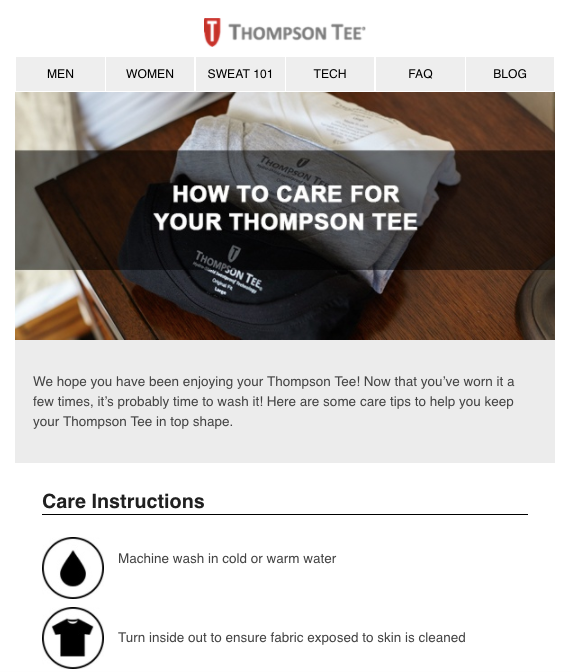 We focused on building an engaged Thompson Tee community with high-quality, relevant content in every email. We created a welcome email workflow for new email subscribers. Design: We created a new template that matched the Thompson Tee brand. It’s not just about the product: We provided a menu of additional sweat resources, like our FAQ, Sweat 101 pages and our blog with resources on how to manage hyperhidrosis and excessive sweating. Emphasized the community: Sweaty people commiserate and find solutions together. The copy underscores that readers have access to a community of resources, discounts and offers they won’t be able to get anywhere else. Promoting a high-value offer is an effective way to grow your email database. A guide, ebook, or checklist — any resource that interests your audience. It’s not just about selling the product. Creating relevant resources builds trust and engagement. With Thompson Tee, we addressed our core audience — heavy sweaters looking for help to stop pit stains. 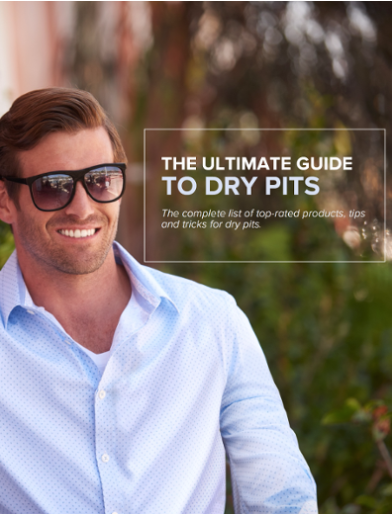 We created a top-of-the-funnel resource, "The Ultimate Guide to Dry Pits," a free ebook detailing the top ways to treat and reduce sweaty pits. A/B testing reveals what works in your ecommerce email marketing strategy and helps you optimize conversions and open rates. But beyond helping you garner higher clicks and conversion rates, testing is a continual process of understanding your audience and ensuring you’re delivering value to your customers and your business. 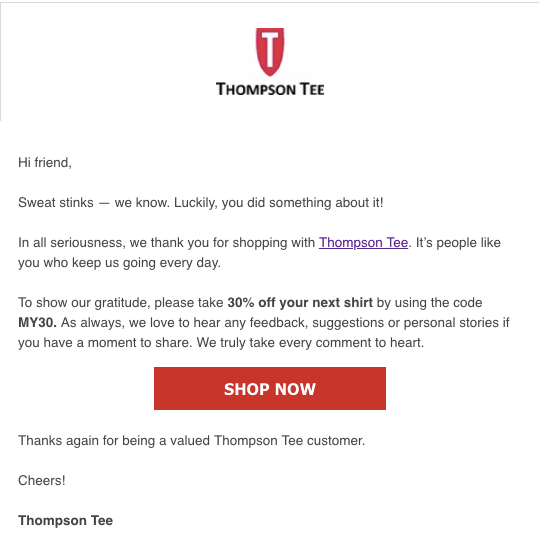 With Thompson Tee, we tested everything. No idea, piece of content, template, subject line, text or HTML email was left behind. There’s isn’t a magic, universal email marketing formula that will double your email marketing revenue overnight. It’s the little wins and details that add up. Frequency, relevancy and testing are interdependent — you can’t have one without the other. Emailing your audience more is useless without designing high-quality emails that appeal to your audience. You won’t know if your design, content, subject lines or even the number of emails is successful unless you test it. Thompson Tee undershirts don’t just protect someone's shirts from pit stains. They instill people with confidence, help reduce stress and allow users to live freely — without the constant fear of embarrassing sweat marks. These user benefits are the focus of every email — and where you should start, too. Need more help with your ecommerce email marketing strategy? Let's talk. 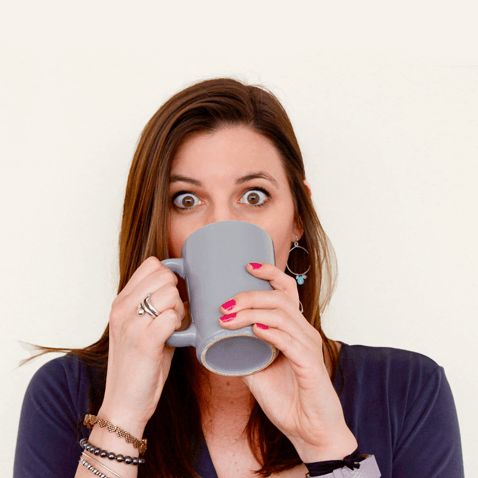 Erin is the Content Manager at Human Marketing. When she's not writing or editing content, you can find her outside hiking mountains (literally), consuming copious amounts of coffee or curled up with a good book.